Any Right We The People Cannot Enforce, Is No Right At All. 6-8pm Central on Saturdays, Live! Go to NoAgendaStream.com to listen live. Go to Agenda31.org for broadcast archives and showlinks. 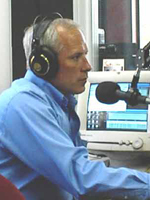 As of March 8, 2014, Common Sense Revisited radio show is no longer. We will leave ThirdRailBlog.com up as an archive of the past five plus years of efforts and a resource for those who care to use it. PLEASE NOTE THAT THE SHOW BEGINS AT THE 6 MIN MARK ON EACH OF THESE ARCHIVE LINKS! NOW BROADCASTING LIVE 2 HOURS EVERY SATURDAY! On Common Sense Revisited, Saturday February 8, Tim from Illinois joined the show and outlined his analysis of four important Supreme Court of the United States (SCOTUS) cases and how when considered in their totality, the people of the several states do exist and cannot be governed by the federal government or the federal states (aka the subsidiaries of the District of Columbia jurisdiction). Rather, the federal government must guarantee the people of the several states a republican form of government and not a municipal code system. Granted, those of us who choose to contract or volunteer with the federal states and their master, the federal government, can be governed. The important nuance being, whether or not you identify yourself as domiciled in DC, aka a resident of the federal state, or domiciled in one of the several states as one of the people. Check the left column, top block above for links to the United States reports of SCOTUS that Tim sourced from HathiTrust.org, which are Google book scans of publicly available printed documentation. These are important to consider as they are not copyrighted as the typically accessible versions of these cases are that are published by West Law and other entities such as Cornell. Those versions are linked below the block under Resources. TRB is possession of the marked up copies from Tim from Illinois which give even more detail than shared on the 2nd half of the CSR show Feb 8th and will be posting them as soon as they are scanned in. [Excerpt from Washington Times] - The National Treasury Employees Union, which represents many IRS workers, argued that canceling the bonuses was illegal under the union’s collective-bargaining agreement. The union took the agency to court. Support RBN with your donation today, please. John Stadtmiller, joins the first half hour to update listeners on the state of alternative broadcasting at RBN. "You can't plan for anything, unless you know what you are planning for," says John. You can get RBN broadcast at your Cummulus stations locally. They can pick up the signal, you just need to get ahold of your program director locally. Click here for a map of stations in your town. precepts of communism as expounded by Marx, Lenin, and Stalin. organizations and their members in such countries. Today's show has a guest Merle from Iowa. Merle asserts that when one of the people of the several states is facing a statutory or administrative charge or citation, that when one makes a general appearance, one submits to the jurisdiction. And as most of us know, once jurisdiction is established in the administrative courts, the Constitution has no bearing on the proceedings. One cannot avail themselves of any protections afforded under the Bill of the Rights for instance.